Let's explore Vietnam with us and you and your family will have the most exciting and unforgettable moments in this beautiful South-Eastern Asia country. Within only 14 days, we will take you through Vietnam from South to North, from the Mekong River Delta to Hanoi, pass many beautiful beaches and visit numerous prominent sites of Vietnam. Halong Bay, Hoi An, Hue and other wonderful landscapes are waiting for you in our Vietnam Family Vacation so don't waste your time, let fly to Vietnam and spend the best time with your kids. In the afternoon, have a city tour including the Reunification Hall, formerly known as the Presidential Palace. It was towards this modern building that Communist tanks rolled on the morning of April 30, 1975, as Saigon fell. This fascinating building is filled with history still fresh in the minds of many. The tour also includes the War Remnants Museum, the Old Post Office, Chinatown and Binh Tay Market – the central market for the city and one of the liveliest areas. Drive back to your hotel. Free at leisure. Overnight in Ho Chi Minh City. This morning, take a drive to the Mekong River Delta and reach the town of Cai Be. One more thing to do in this trip is biking on village paths to see the local farms, houses, real life and the ancestral ways to pick up fruits in Mekong Delta.. Spare time to walk around the village. Later on transfer back to Ho Chi Minh City for flight to Hue. Pick up and transfer to hotel. Overnight in Hue. Rising up in the ancient land, breakfast in hotel, we board on a private boat for cruising on the romantic Perfume River. Being the ancient capital, Hue is surrounded with ancient tombs of emperors past, and visit to some of these tombs will be on the itinerary for today. The charming Lady Pagoda (Thien Mu Pagoda) will be the first stop. Setting in the converge of rivers, and gives you a great view on the Perfume River and surrounding area. From here you will take a drive to visit King Minh Mang's tomb & King Tu Duc tomb. Lunch at a local restaurant. This afternoon we take a tour of Hue City including the Citadel and the Forbidden Purple City. Overnight in Hue. After breakfast, we will be on 4 –hour journey to Hoian. The winding road begins as we make our way up the Hai Van pass. The breath -taking view from the top of the pass is one of Vietnam’s most impressive panoramic scenes. We also make stop for relaxation at charming Lang Co Beach. Our next stop is Da Nang City, famous for the Cham Museum and the China Beach, a place called R and R (Rest and Rehabilitation) where thousands of American GIs came for a break during the war in Vietnam. Also, we have a short sightseeing at the Marble Mountain, whose peaks represent the five elements of the universe. Arriving in Hoian in the early afternoon, we enjoy lunch, check in hotel and then start a walking tour through the Ancient Town. Here we can see the vestige of the mix combination of Chinese and Japanese architecture as well as traditional cultural values. In December, 1999 Hoian is declared a Unesco World Heritage site. Follow the narrow lanes lined with centuries-old houses influenced by Chinese, Japanese, French and European architectures and visit its numerous places of interest: the 400-year old Japanese Covered Bridge, the Phuc Kien Assembly Halls, the local fish market. Overnight in Hoian. Your guide will meet you in your hotel lobby, then you will cycle around Hoi An towards the TraQue vegetable village - About 150 farmers and 400 owners live on there and cultivate about 20 types of vegetables and herbs such as mint, lettuce, basil, cilantro, broccoli and many more. From the more than 40 hectares of land 8 tons of Village Tra vegetables are sold every year. The vegetable growers do not use pesticides or GMOs, using natural fertilizers instead, including seaweed found in the river and harvested by gardeners every morning. Walk in TraQue vegetable village and meet local people working in the garden. Today is a free day on your own. You could take the bike from your hotel, bike around the ancient town, bike further to the countryside, or to the beach nearby. Taste as many local food as you prefer. Overnight in Hoian. Transfer to Danang airport for flight to Hanoi for two-night stay. Pick up and transfer to hotel and free on your own to discover the Old Quarter and taste very delicious local cuisine. Overnight in Hanoi. Today we will explore Hanoi by traveling through the Old Quarter with 36 ancient streets in a traditional cyclo. This slow - speed tour will give your great chance to fully enjoy the classic and modern of the capital. Although some streets aren't so named nowadays, you can understand the relation between the name of each streets and its products which the vendors selling inside and it's easy to find where sales what. For example, Hang Da Street is the place of shoes and other leather products like bags, wallets or Hang Ma Street with varying kinds of paper products which is used for worship. Next you will visit the Ho Chi Minh Complex and the first University of Vietnam - Temple of Literature. After having lunch in a local restaurant, you will continue to see the collection of Vietnamese culture in the Museum of Ethnology. Overnight in Hanoi. After breakfast at hotel, at about 8.00AM - 8.30AM, the shuttle bus will pick you up at your hotel. We will drive 3.5 hours through the lush scenery of Vietnam countryside to Halong Bay, enjoy the breathtaking beauty of the World's Natural Wonder. Start cruising around the bay to see the amazing karsts with different formations: Lion, Tea Pot, Toad, Dau Nguoi (Human Head) islets, then stop for a walk through the Sung Sot (Amazing Cave). The junk arrive TiTop island, you will have 1 hour for visiting, climbing and swimming. Enjoy a wonderful sunset dinner before retiring to the comfort of your cabin. Begin the day mastering energy flows during a Tai Chi session, while the sun rises. Breakfast buffet will be served at the restaurant. You will be transferred to a day-boat. Visit Ha Long Pearl Farm(the biggest one in Vietnam). 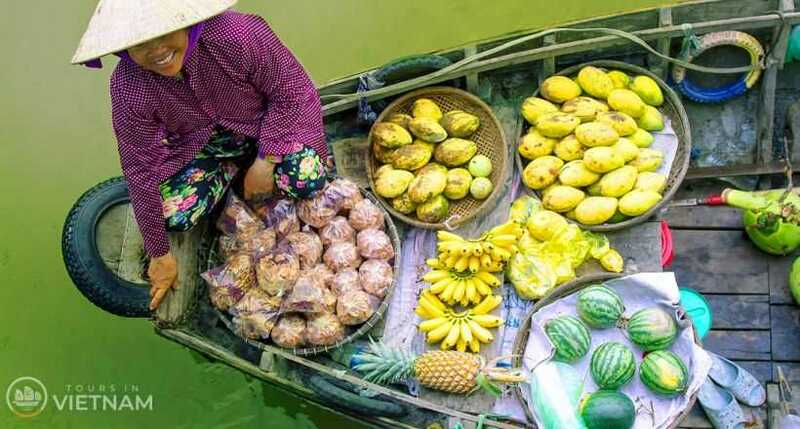 Enjoy the lunch on dayboat and arriving to Ba Trai Dao (Three Peaches). Enjoy swimming on white sand beaches or discover the brushwood in valley. Come back to the cruise, relax and join with the new passengers. The same program with the 1st day. We will continue our journey on Halong Bay in early morning. Sitting on the upper deck; you can relax, sight-seeing while taking in the magnificent beauty of the rocky islands rising from the emerald water of the bay. After breakfast, we will explore Sung Sot cave - one of the finest and widest grottoes of Halong Bay. Next keep cruising and passing the Ba Hang fishing village with its unique way of life. At 9:30AM, our boat cruises back to the jetty, watching a cooking demonstration before enjoying a traditional Vietnamese lunch. You leave the boat around 12:00 and be transferred back to your hotel in Hanoi. Overnight in Hanoi. You are free at your leisure until the private guide meets you at the hotel lobby, transfer to the airport for your departure flight. Room is at your disposal until 12:00 noon only. Meals on your own. End of services. Thank you very much for travelling with SE Asia Travel!End of tour services.